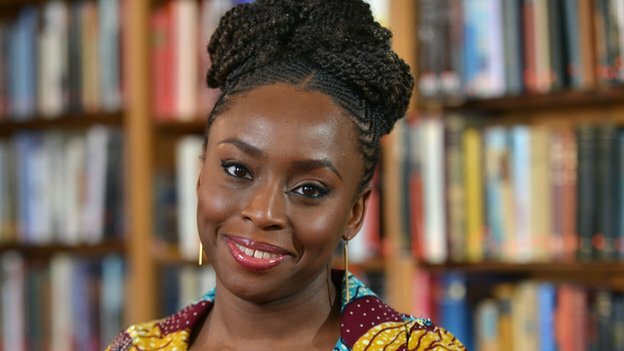 The Farafina Trust Workshop 2017 will not be happening its founder Chimamanda Adichie has said in a statement. This happened after its main sponsor Nigerian Breweries abruptly withdrew its patronage. Farafina Trust is a non-profit organization established to promote reading, writing, a culture of social introspection and engagement with society through the literary arts. One of the organisations flagship events is the Farafina Trust Creative Writers Workshop run by established editors and writers to impart editing and writing skills to selected attendees. The maiden edition of the workshop took place in September 2007 and was facilitated by Chimamanda Ngozi Adichie. Some of the participants who have taken part in the workshop in the last nine years are Akwaeke Emezi, Yewande Omotoso, Miracle Adebayo, Eloghosa Osunde, Umar Turaki, Nnamdi Anyadu, Funmi Akinsola, and Chika Onwuasoanya. The intense process has grown to be must attend creative workshop in Nigeria and a vital one in a continent sorely lacking in such mentoring activities. With this, and an alumni that will influence the future, Farafina Trust secured sponsorship for the creative writing workshop from Nigerian Breweries Plc recently. With the harsh economic climate being experienced by many of the largest corporations in the West African nation, the megabrewer has withdrawn its sponsorship. Unfortunately, this withdrawal was made before alternative arrangements for financing could be made forcing the organisers to cancel this year’s edition. They have promised that this is a temporary setback as the workshop will be back next year. Bigger and better we could only assume knowing Farafina. You can read Chimamanda Adichie’s statement in full below. I am sorry to announce that the Farafina Trust Writing Workshop will be unable to hold this year, which would have been its tenth year. From the initial reaction of potential sponsors and partners, we are optimistic about the future. My thanks and best wishes to all those who have made enquiries about applying for this year’s workshop. The workshop will be back next year. This is for Chimamanda Adichie. Your TED talk on “The Danger of the Single Story” has been a pivotal highlight in all the courses I teach at Northeastern University / Boston, MA. Its key thesis is riveting for my students – mainly graduating seniors in classes that are internationally diverse. Your personal anecdotes are articulate, authentic and charmingly told, embracing your audience, bringing us all in, giving us tools to look at our own stereotyping based on a thread or two of information. You have touched many lives here in Boston. Thank you! This is a very touching message. I am not really sure Ms Adichie knows this blog exists but if she runs into this comment I’m sure she will be very happy.